As the name implies, the Double Kabuki Drop features two drop activation sequences. The curtain first starts off gathered or rolled up and is held in place at the top of the stage proscenium (on the flying bars). Activating the curtain drop the first time will open up the curtain so that it covers the stage. Activating the curtain drop a second time will drop the curtain to the floor revealing what is on stage. 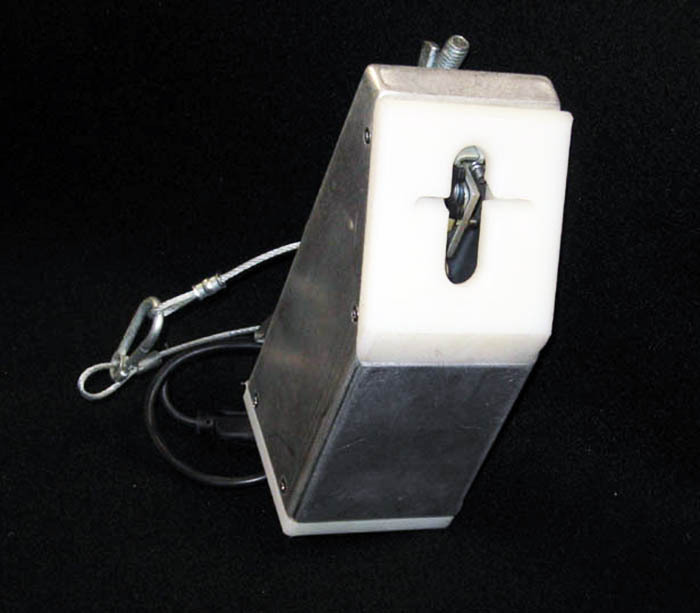 A Double Kabuki Drop can be activated either manually or electronically. Any system of drop points can be adapted as a double drop. The underlying method for any double curtain drop is the need for two sets of drop points. There also needs to be an extra cloth “hammock” that will hold the curtain gathered up in place at the start. The cloth “hammock” acts as a basket for the curtain. One long edge of the cloth “hammock” is permanently secured to the flying bar or Kabuki system support bar/ backboard (if there is one). The other long edge of the cloth “hammock” is attached to the additional drop points of the Double Kabuki Drop units. The first drop releases the cloth “hammock” so that it falls open and allows the curtain to drop open. The second drop releases the curtain to fall to the floor. The option you choose depends on your needs, constraints and preference. If you are producing a multi-million dollar touring concert, you should go with a high-end professional system that is supported with an experienced team. However, there are many smaller events and shows that do not require or have the budget for professional systems with a team. In which case, a DIY solution or renting a system for a one-off event may be a better option. How large is the Kabuki Drop? What sort of fabric is used for the curtain? How many times will the Kabuki Drop be used? Is there ample time to set up and test the Kabuki Drop at the venue? Is the Kabuki Drop going to be used at a fixed location or as part of a touring show that needs to be set-up/ tore down frequently? Do you have the manpower required to set up/ tear down and activate the Kabuki Drop? How significant is the role that the Kabuki Drop plays in your show, production or event? 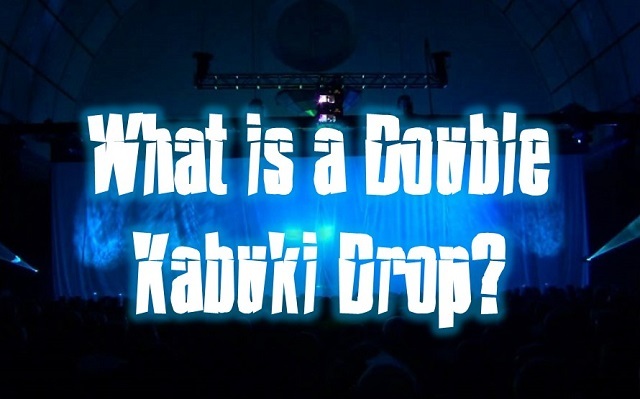 How much time do you have before you need the Kabuki Drop for your show, production or event? Do you have the skills and tools necessary to build a Kabuki Drop? Do you have the skills to troubleshoot, maintain and use a professional Kabuki Drop system? Answers to the above questions will help determine which option may be more suitable for you. One of the biggest factors to consider will be the budget that you have to work with. There are two factors for financial consideration. One is the initial investment and the other is the ongoing cost. Building your own Kabuki Drop system will generally cost the least. 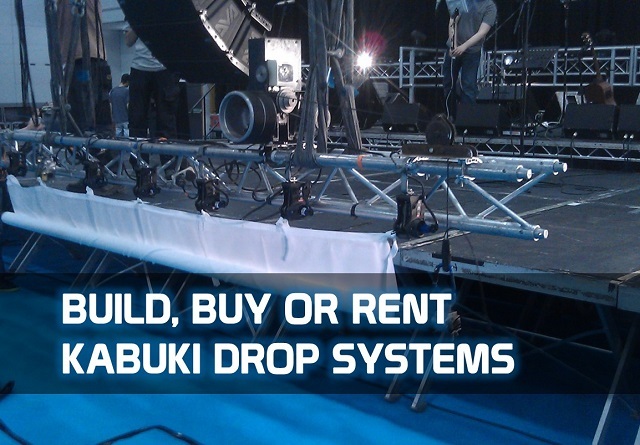 Renting a Kabuki Drop system will be more expensive than building one but you would incur rental cost each time you require it. This cost can accumulate if you are using the system multiple times. 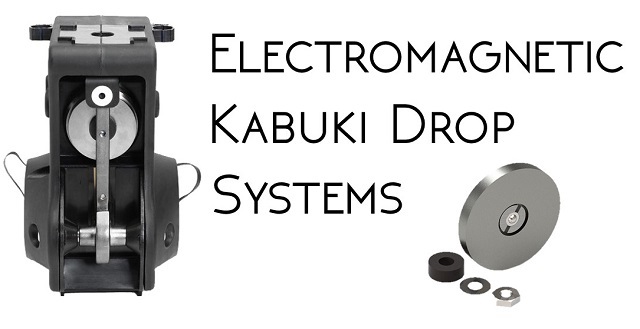 Buying a Kabuki Drop system requires the highest initial investment with some ongoing costs such as maintenance or storage. However, if you are using the system multiple times, the investment may be worth it as the costs are amortized over a period of time/ uses. While building a Kabuki Drop does not require the technical skills of the “American Chopper” team, an aptitude for wood work, handling of tools and building of things as well as the availability of a properly equipped workshop are a must. The size of the Kabuki drop can be a factor when building a system. If the curtain is very large, you will need sufficient space to build and test the drop. Your time should also be factored into this consideration. You will need time to design, plan, build and test the system. If you do not have a lead time sufficient to build and test the system, you are likely better off buying or renting a system. The first step is to research for Kabuki Drop methods, systems and designs. 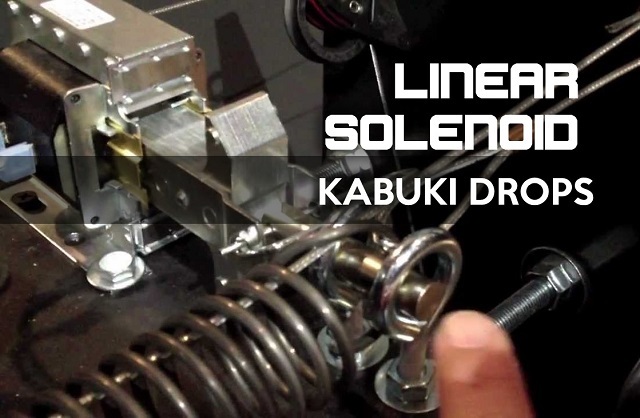 Your research should help you decide on the Kabuki Drop method you can/ want to build; for example, whether it is a manual or electromechanical linear solenoid system. Plan out exactly what you need and how to build the system. This includes having a set of building plans, materials & tools list. Come up with a production timeline to ensure you have a timetable for building, testing and troubleshooting the system. If you do not have a theatre venue to work in, it is advisable set-up some kind of suspended horizontal support to replicate a flying bar to test the curtain drop under “real working” conditions. Get familiar with the system. Understand its idiosyncrasies and learn how to make adjustments and troubleshoot as necessary to get the system working perfectly. A professional system means it has been developed with expertise, research & development, prototyping, time and resources. You are generally guaranteed a better system than one you could build in a few days. But, understandably, it comes with a higher price. Contact the manufacturers or resellers of different systems and request for product info and prices, if the information is not available online. Once you have all the pertinent information on hand and have worked out your budget, purchase the system. Note, it will still take some time for the delivery of the Kabuki Drop and you will need additional time to make the curtains and learn how to use the system. Be sure to factor this into your lead time when buying the Kabuki Drop. 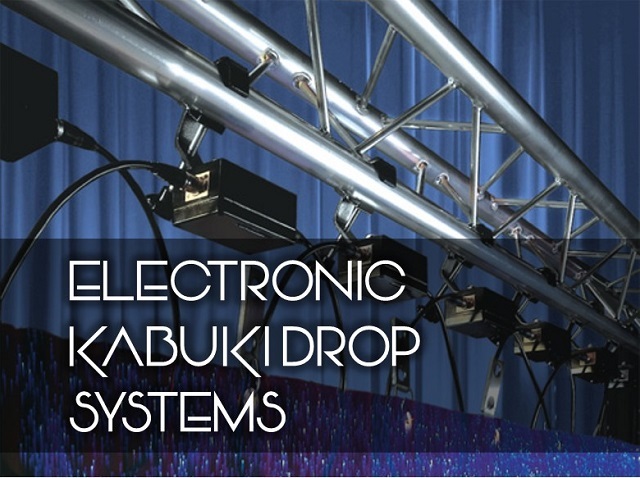 If you require a Kabuki Drop for a one-off event or show, renting the system may be the best option. If you are organizing an event and have an appointed event producer, you can have him/ her source for a vendor for you and make all the necessary arrangements. If you are self-producing an event or show and require just the Kabuki Drop, you can source for an event production or technical service provider. You can also look for a company that specializes in drapes for theatrical productions. Do a Google search or ask for recommendations if you have any friends in the event or theatre industry. Renting the system generally includes the support team to set up/ tear down and execute the curtain drop so it is a hassle-free option. 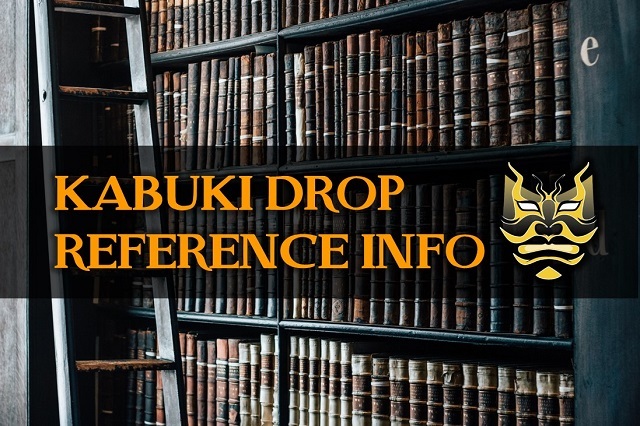 As you will unlikely be using the Kabuki Drop system yourself, you do not really need to be concerned with the type of the Kabuki Drop System used. What is more important is the reliability of the provider as well as the system they are using. What is the cost of the Kabuki Drop (based on the size of curtain you need)? How experienced are they in Kabuki Drops? What past shows/ events have they done? What type of Kabuki Drop system are they using? Any particular brand? How reliable is the system and what happens if the system fails or the curtain does not drop completely? Based on the answers given, you should be able to assess which company would be best for you. 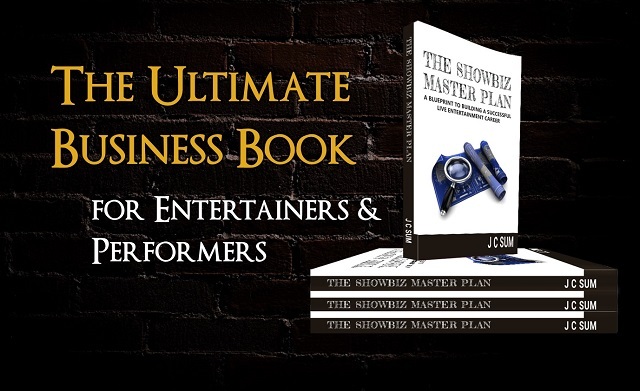 “The Showbiz Master Plan” is the most all-encompassing business book written for entertainers & performers including musicians, comedians and variety entertainers. Headline Entertainer, J C Sum (www.jcsum.com), has spent the past 23 years (and counting) performing around the world and currently works as a headline entertainer primarily in Asia as well as Europe and the Middle East. J C has starred in his own network television series and made multiple international TV appearances. More than 120 million people have seen his magic live and on TV in 26 countries. Print Book for US$49.90 + shipping. Read the reviews and order the book from our shop HERE.